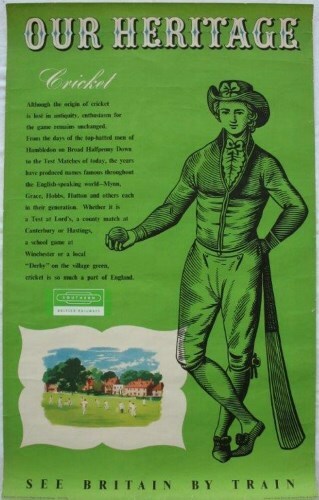 Lot 132 D/R Poster 1956 BR "Our Heritage - Cricket". One of a series of posters on the Heritage theme from the Southern Region. Good rolled condition, with small edge tears.